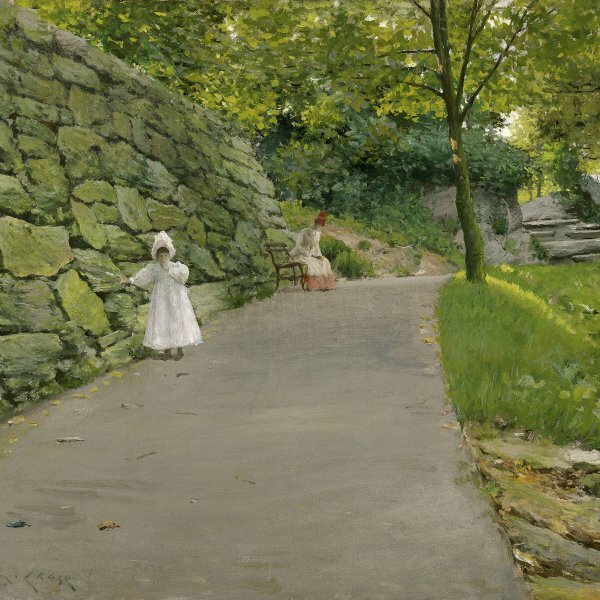 During the 1880s the influence of the French plein air painting brought about a shift in William Merritt Chase’s work from the dark, compact style of his the early years in Munich to luminous landscapes rendered loosely and in a highly-keyed palette. At Shinnecock Hills, Long Island, where he settled permanently in 1891, Chase painted many views of the scenery in the surroundings of his mansion. 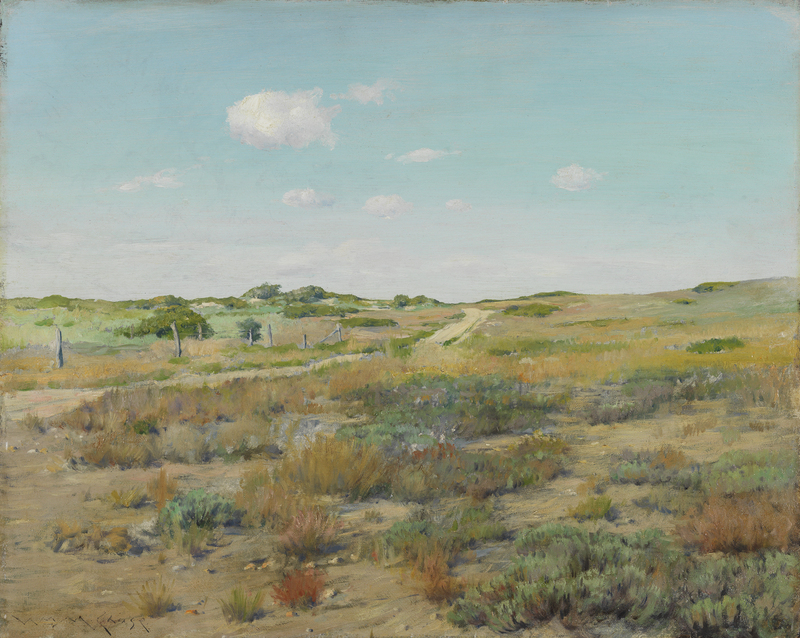 Particularly notable among them is a series of panel paintings showing the scrub-covered dunes separating the dry land from the seashore. These small, delicate works that capture the brilliant luminosity of the place can be related to the work of the Impressionists, particularly Alfred Sisley. The broad, frontal panoramic view built up from loose brushstrokes in the warm tones that characterise the panel painting in the Thyssen-Bornemisza collection make it one of the most exquisite works from this period. In 1891 Chase established the Shinnecock Summer School of Art, where he taught until 1902. The painter, who had made his debut as a teacher in 1878 at the Art Students League in New York, encouraged his students to work outdoors, in the presence of nature, and to paint directly on canvas, dispensing with sketches or preparatory drawings, and therefore made a decisive contribution to the spread of Impressionism in America.